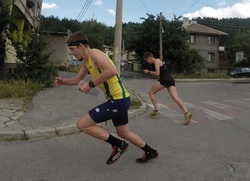 Recently I have been staying in Samokov with Brodie Nankervis, Matt Doyle and Ashley Nankervis. We have a small apartment complete with grandpa slippers and dog-skin carpets (probably from some of the feral dogs on the street). What is great about the place is we have our own kitchen so we can cook our own meals, although we are having difficulty finding the ingredients we want in the supermarket. They can sell 50 different brands of pasta sauce, but apparently no curry pastes. 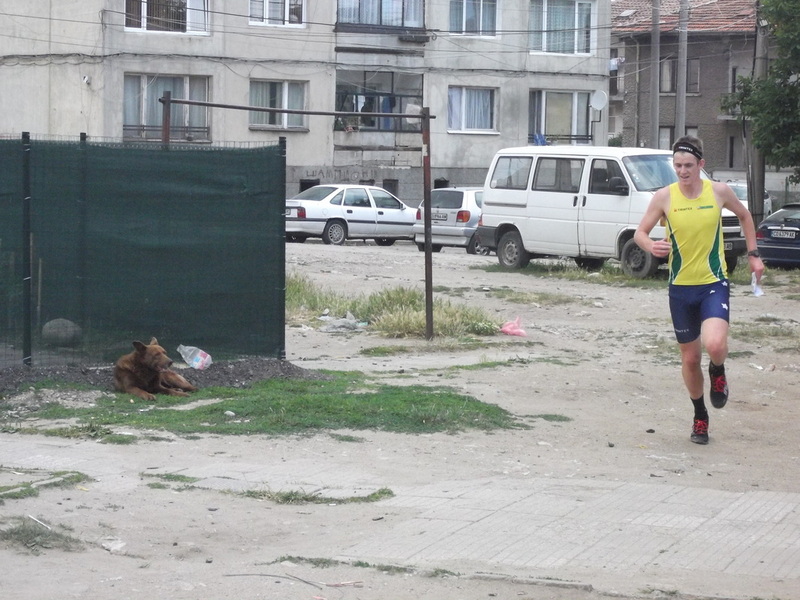 Today Brodie and I ran a set of sprint intervals around the slum that is Samokov. 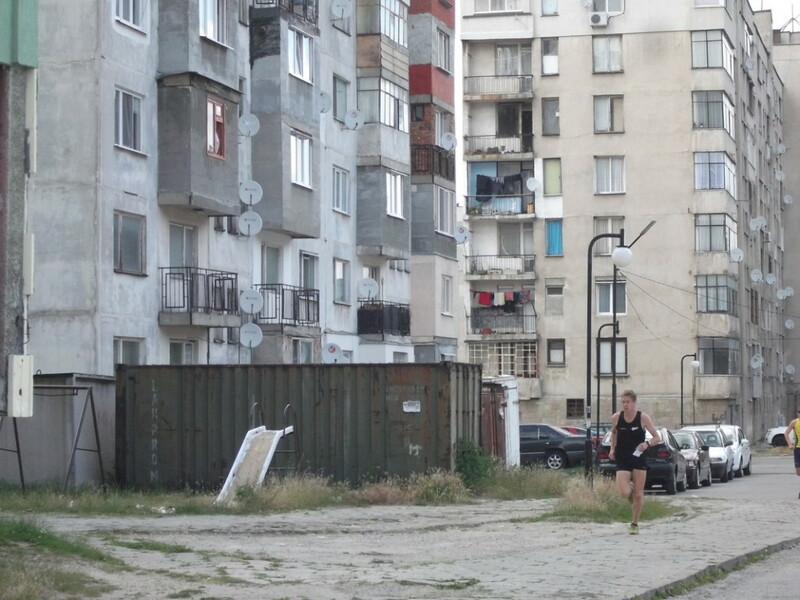 Soviet style apartment blocks surrounded by overgrown grass, broken pavement and ruined/burnt-out garages made up the terrain, which is supposed to be the model map for the sprint. 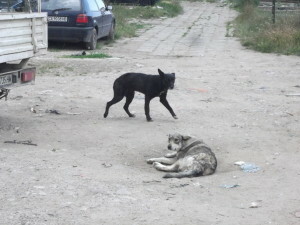 The serenity and splendour of the area was breath-taking, and the feral dogs really added to the peaceful atmosphere. Our first effort took us right through the dogs’ territory and it was actually quite scary. 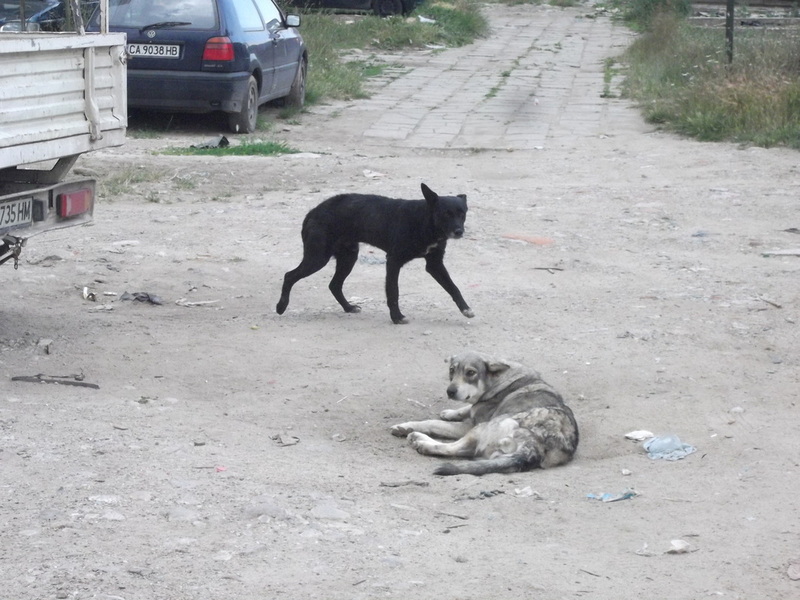 A pack of about 5 or 6 barking, snarling, rabid dogs chased us through the map. 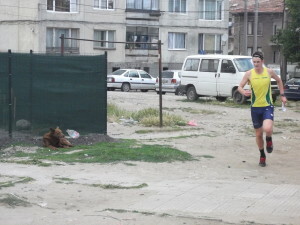 One especially filthy dog got within 2 metres of Brodie and this pushed him off-line allowing me to get ahead. This only made things worse for Brodie, as I would agitate and get them all ready to chase Brodie as we passed through twice more. The dogs are tired after Brodie is done with them. 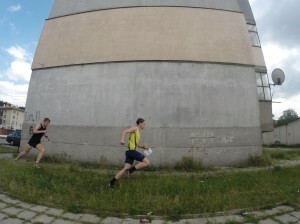 We ran 5 efforts, each about 800 m long. 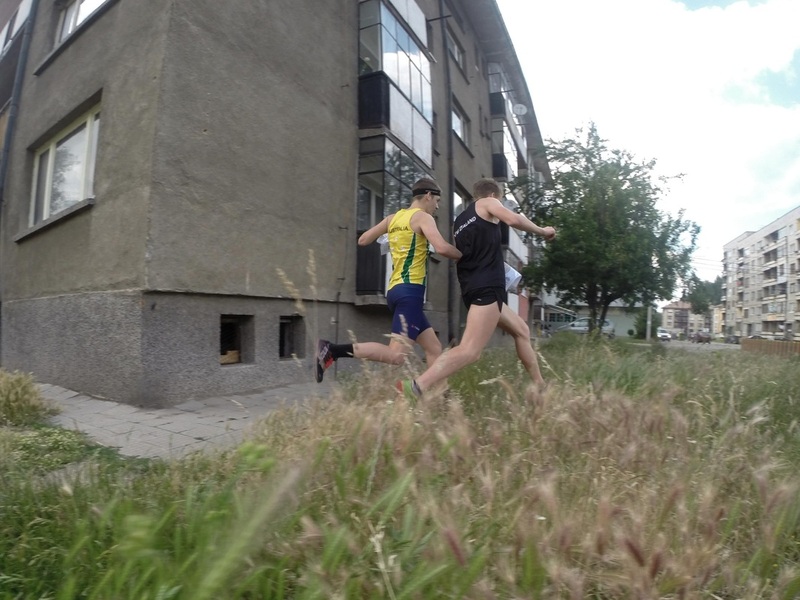 It was good to do a fast session after mostly crusiy trainings lately, and the JWOC sprint is likely to be super fast, judging by today’s terrain. 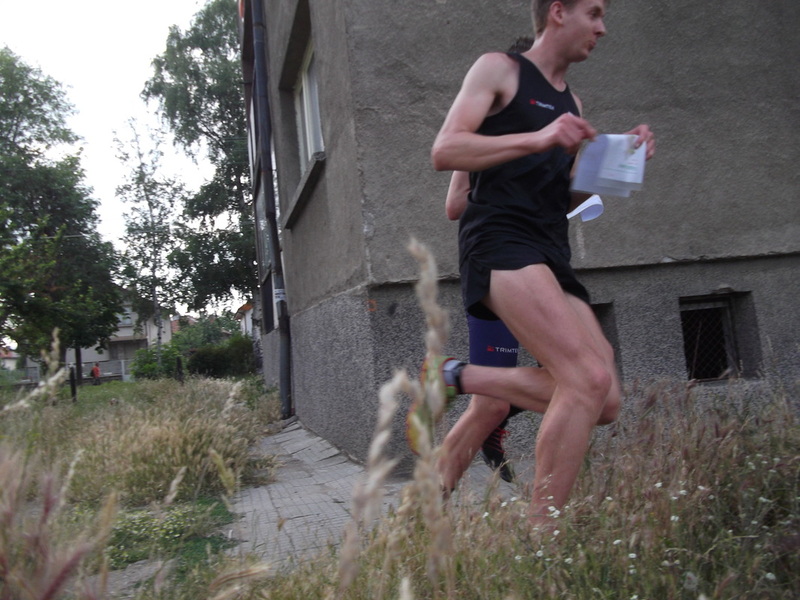 The large rectangular buildings turn the navigation into a simple counting task, so most of your concentration can be focussed on sprinting your heart out. If the dogs don’t rip it out first.